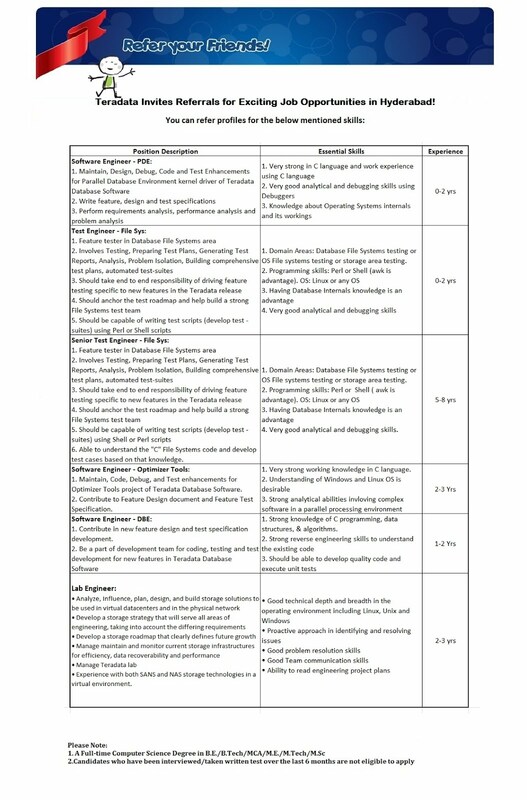 NO FRESHER OPENINGS – ONLY COMPUTER SCIENCE ENGINEERING & EXPERIENCED CANDIDATES ONLY. Please do not assume and send resumes, irrelevant to the posts. No FRESHER OPENINGS. I AM NOT HR & RESUMES WILL NOT BE MAINTAINED BY ME IN ANY DATABASE. So irrelevant experience, please do not send your resumes and clog my mail box.